Despite the positive economic reports in the US. USD fell while EUR is also getting weak due to the European bank problems. 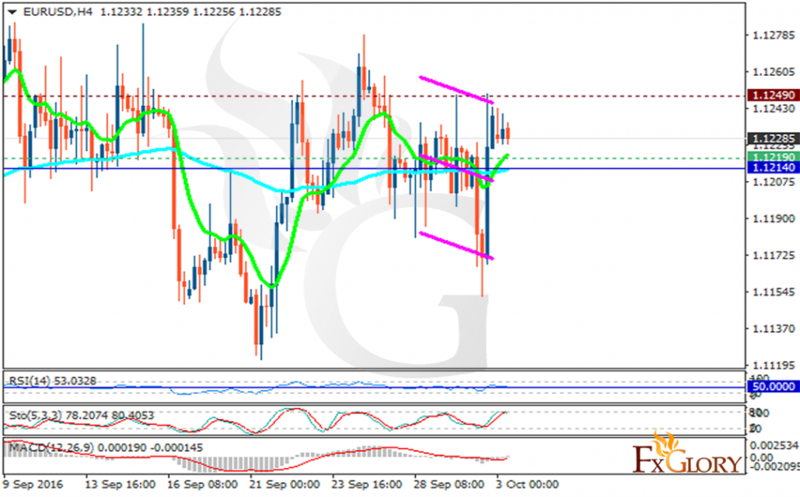 The support rests at 1.12190 with resistance at 1.12490 which both lines are above the weekly pivot point at 1.12140. The EMA of 10 is moving with bullish bias and it is located above the EMA of 100. The RSI is falling down on the 50 area, the Stochastic is moving in its low ranges and the MACD indicator is in neutral territory. It is time for EURUSD to grow back again targeting 1.1250.